Good things come in small packages. Fruition Restaurant on 6th Avenue in Denver is a quaint space seating around 55 guests at a time. The cuisine features masterful farm-to-table ingredients with a focus on great flavor. 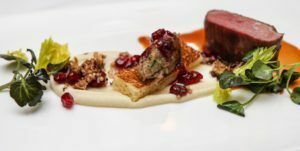 This highly acclaimed restaurant comes up on the top 5 Best lists for restaurants in Colorado — kudos include Food & Wine Magazine’s Best New Chef list in 2010 and a James Beard finalist nomination for Best Chef Southwest Award in 2016. 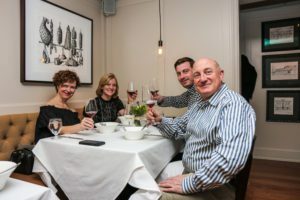 On February 6th, Fruition celebrated a major milestone for any restaurant, its 10-year anniversary. When we received the newsabout the special dinner, Darcy and I just had to make a reservation. Chef-owner Alex Seidel planned an intriguing menu, bringing back a highly talented group of chefs consisting of his current trusted team, as well as past employees who have advanced to the helm of their own restaurants or even the number two slot at Boulder’s eponymous Frasca restaurant. At $150 per head, this feast was an instant sellout. We arrived at the restaurant 15 minutes early and saw a line of enthusiastic couples waiting in front for the door to open. The evening’s weather was unusually mild and pleasant for February. While we waited outside, frequent bursts of light flowed around the restaurant’s blinds — a photographer had been hired to document the evening. We were seated in the main dining room near some familiar faces. 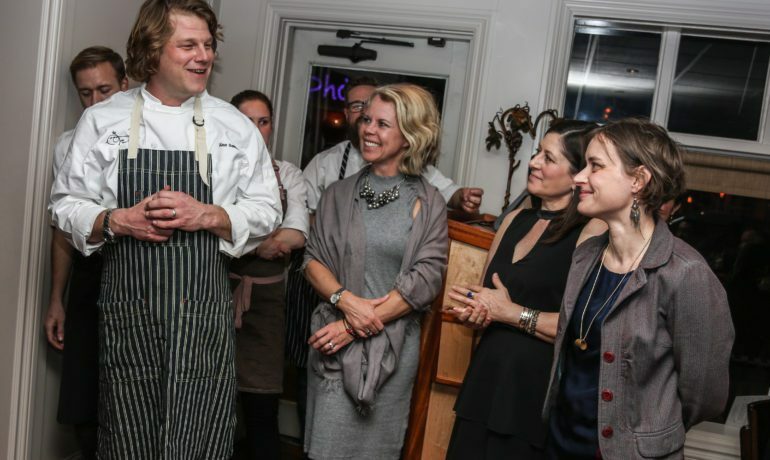 Chef-owner Alex Seidel greeted all of the guests with warm hugs of appreciation. He explained that his kitchen felt like “a sardine can” with all of the chefs prepping their ingredients. He invited me to take a peek for myself. Sardine can be confirmed! Fruition’s compact kitchen feels yacht-sized on a good day. Like the majority of the guests, we decided to order the optional wine pairings selected by Head Sommelier Patrick Houghton. The wine picks were a virtual tour of Europe’s top wine regions, with bottles from France, Germany, Austria, Spain, and Portugal. The wine pairing add-on price was a bargain at $70. Fruition staff delivered the plates in a well-timed, orchestrated manner. Course after course, wine after wine, we were very pleased with this epic dining experience. Chef Seidel’s plate was course four and did not disappoint. It consisted of medium-rare, succulent Peking Duck Breast, Blood Orange, Celery Root, and Pomegranate. The combination of savory and sweet would have won over the likes of Julia Child. 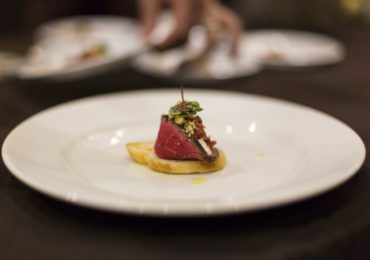 Plate portions were petite until course five when we received Justin Brunson’s roaring tribute to variety and luxury meats. 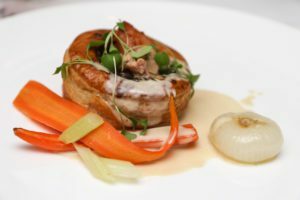 It was a Vol au Vent (puff pastry) stuffed with Bacon, Sweetbreads, Foie Gras and Oxtail with a Newburg Sauce. Off the scale! During the four-and-a-half hour seating, Chef Seidel revealed some interesting facts about his team and its journey. It became clear that his mentor style has made a very positive impact on so many chefs and hospitality professionals during these ten years. 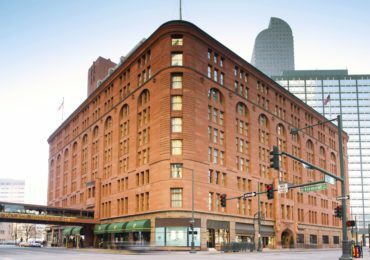 Seidel credits his incredible success over the decade (later opening Fruition Farm and Dairy and Mercantile Dining and Provision) to his faithful team. 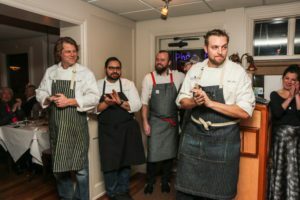 A number of them graduated on to elevated positions at other haute restaurants in Colorado and abroad or opened their own places, but enthusiastically returned to celebrate Fruition’s 10th Anniversary.